I can’t believe we’re all welcoming April already! While I started off right this March, that is, comparably fast compared to the previous months, I couldn’t sustain my reading pace and ended up slacking for the rest of the month. That goes with my reviews as well. I’m just glad I developed a habit of writing notes while reading and can go back to them when I’m ready to write my review. I started the first week of March with four books and would have preferred to read and do nothing else, but as always, priorities and reality call. 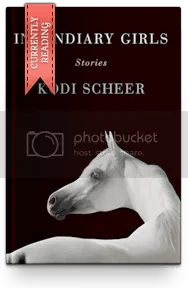 Mental Illness Awareness Reading Challenge – 4 of 4 books → COMPLETED! Banned Books Challenge – 6 of 5 books → COMPLETED! So let’s get on with the books I read in March, shall we? All titles with hearts beside them are my favorites for this month. 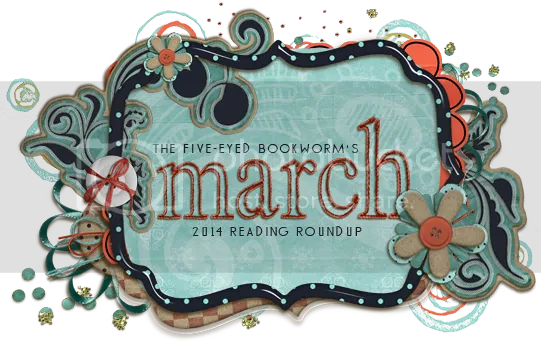 You read a lot of great stuff in March–and a wide range of things, too. I was surprised how much I enjoyed The House on Hope Street. Thank you. It really was a great month (hopefully I’ll get to roll out the reviews soon) :) Thanks for dropping by. I have to write my review of Hope Street today before I forget what happened! I see it was one of your favorites. The main story line I really enjoyed but the other two I felt were weak. Hmm. Well you have definitely read some great books in March! 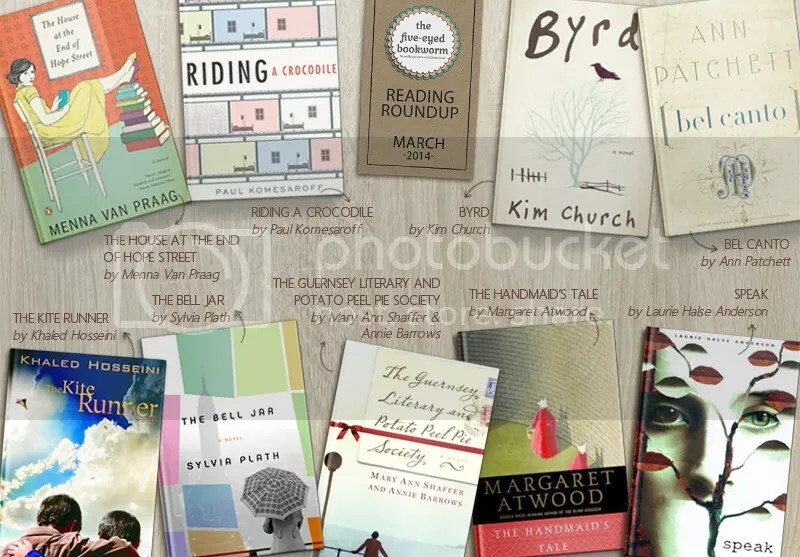 I love The Bell Jar and The Kite Runner as well as having (still) The Guernsey Literary and Potato Pie Society on my TBR.